Northpointe Animal Hospital’s staff of experienced and expert veterinarian doctors and skilled vet staff is ready when your pet needs us. Call or contact us today to learn more. 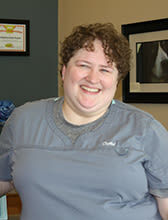 Crystal has been with Northpointe Animal Hospital since 2012, but has been working in veterinary hospitals since 1997. She spent many years working hands-on with patients and is now the person you will most likely see when you enter our hospital to greet you and your pet. She will help to coordinate your visit, help answer your questions, or direct you to other resources you may need. She has a tendency to rescue sad animals in need and turn them into quirky Instagram stars. Crystal lives with her wife and their ever rotating menagerie of rescues. 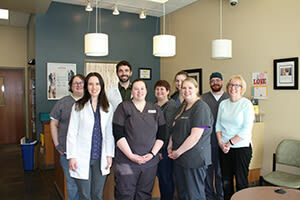 Jeanne became a member of the Northpointe Animal Hospital team in September of 2017. This is her first experience in a veterinary practice, but she has always had a passion for working with pets and people. Before joining the team, she worked as a pet care specialist and manager for over four years. Now you’ll find her helping out at the front desk or assisting in the back. Jeanne is especially interested in animal welfare and the natural world. She shares her home with a menagerie of rescued pets, including dogs, cats, birds, reptiles, and fish. In her spare time she loves to read and write, explore trails around the Pacific Northwest, and attend charity events for wildlife and exotic animal rehabilitation. Rebecca was born and raised in the Pacific Northwest. 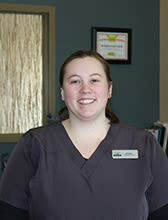 She has been a Veterinary Assistant since 2006 and loves working with animals. When she's not working at Northpointe Animal Hospital she enjoys hiking and weekend trips. She has 3 cats, 2 Chihuahuas, and a Crested Gecko. 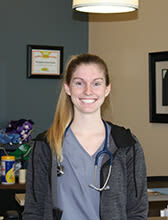 Channing recently joined our team in February, 2018 as a Veterinary Assistant. Born and raised in Virginia, she received her B.S. in Biology with a minor in Chemistry from George Mason University. She recently moved to Washington with her longtime boyfriend who is in the Navy. In her spare time, they like to attend sporting events with friends. Stephanie is a graduate from the Veterinary Technician program at PIMA Medical Institute, and a Licensed Technician. She was our Veterinary Technician extern in 2012. 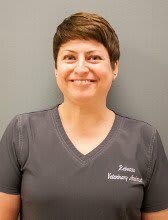 We are impressed with how devoted she is to the happiness of our clients and the care of our patients, and her willingness to learn that she has since been hired on Full Time as an LVT at Northpointe Animal Hospital. 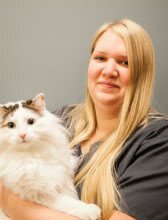 Stephanie is interested in all aspects of veterinary care but has a particular interest in surgical assisting, and has a big soft spot for all furry pets young and old. She enjoys spending time with her furry kids in her spare time. Matt joined the Northpointe Animal Hospital team in November 2016 and has been a wonderful addition to our hospital. He moved to Washington State from Texas in 2005. Matt lives with his Yorkshire Terrier, Freda and two cats Percy and Bianca. After attending PIMA Medical Institute, Matt graduated in 2012 as a Licensed Veterinary Technician and has been working in Snohomish County since, caring for both dogs and cats. 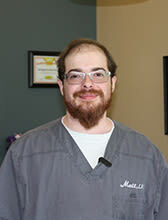 Matt’s interests are small animal dentistry and learning about the latest advances in animal medicine. As our Hospital Manager, Ashley Brooks lives to make everyone’s life easier, from our clients to our staff. Ashley loves cats and dogs equally, but especially loves when Pitbulls come to visit, as well as having conversations with all of the talkative kitties. 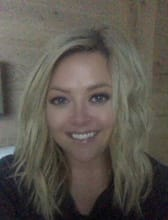 Ashley has two cats named Squishy and Norman, as well as two Pitbull rescues named Captain and Leroy. In her free time, Ashley loves gardening, hiking, and being a Dave Matthews Band super-fan. Ashley has been in veterinary management since 2010 and volunteers with the Pacific Crest Trail Association every summer.